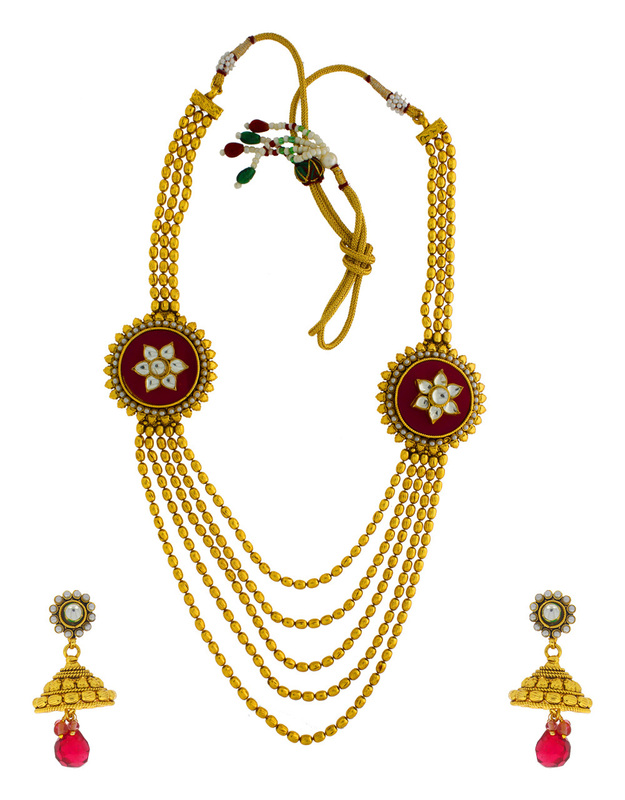 Anuradha Art Jewellery brings you an exclusively designed traditional necklace set. 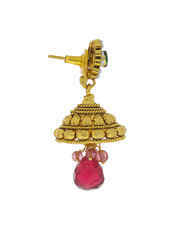 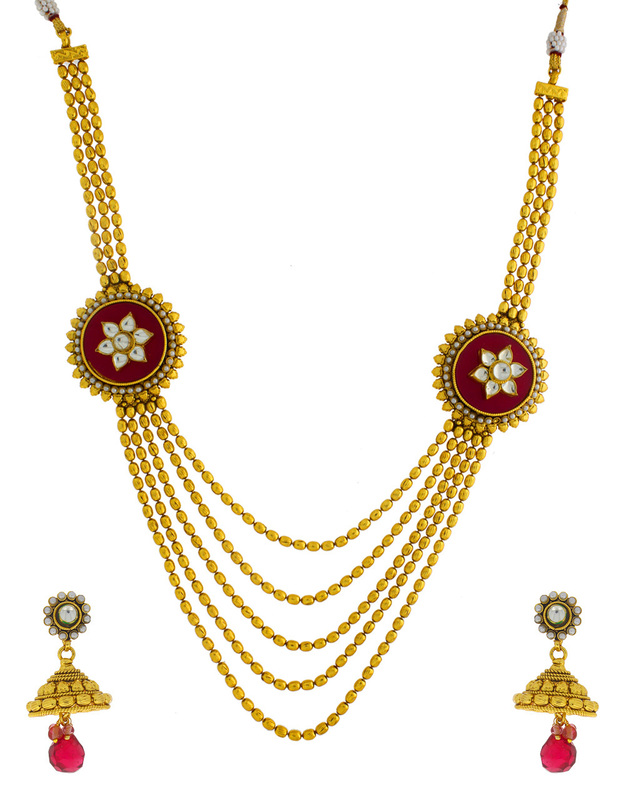 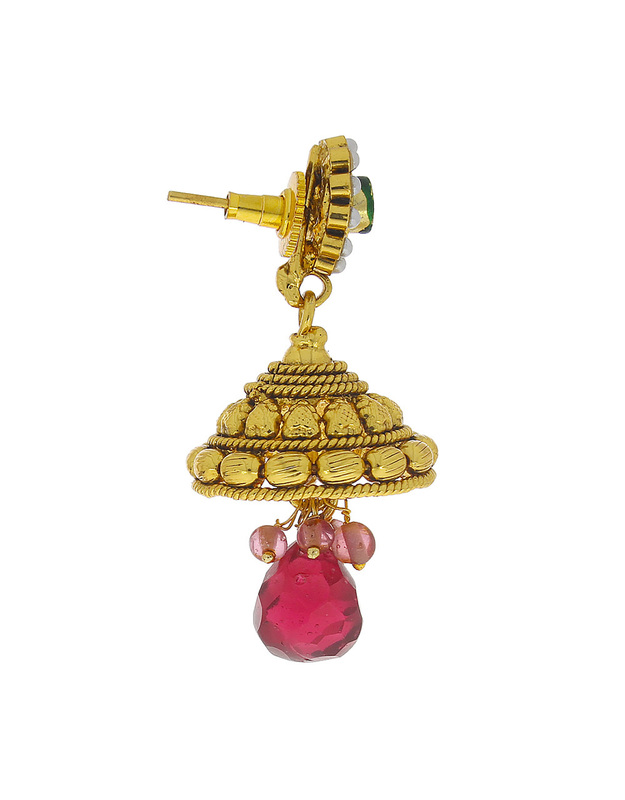 This beautiful set has multiple layers of golden chains & is studded with polki stones. It is made from golden polished copper. 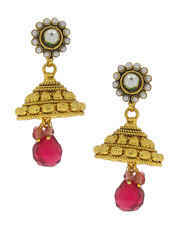 It will surely fetch you lots of compliments. This set is durable & will last for years to come.